Item Detail - POPEYE “STOW IT – DON’T THROW IT” 1990 ANTI LITTERING WHILE BOATING BUTTON. 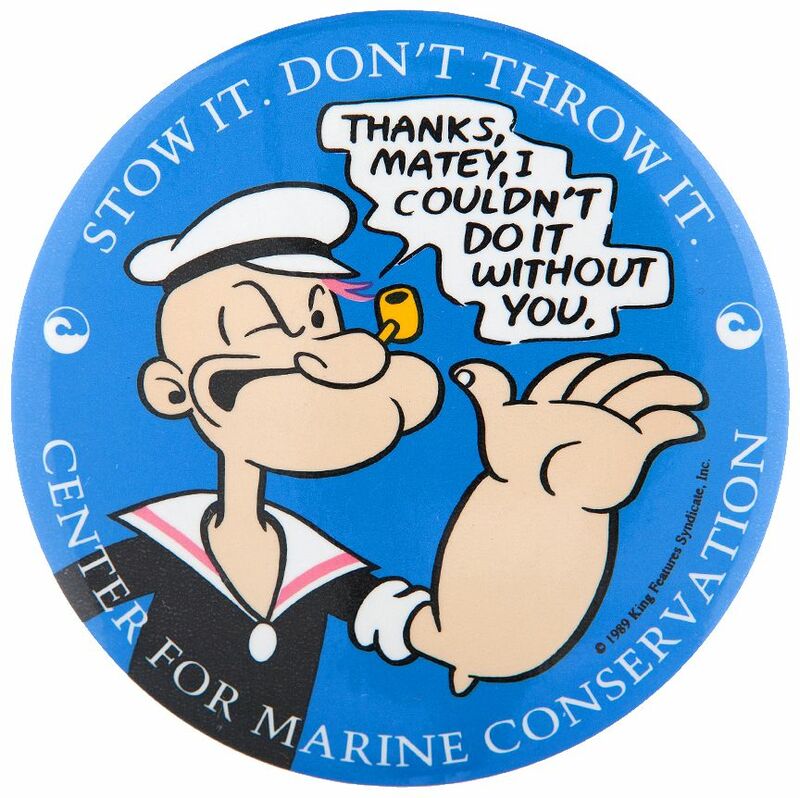 POPEYE “STOW IT – DON’T THROW IT” 1990 ANTI LITTERING WHILE BOATING BUTTON. 3”. Issued by “Center For Marine Conservation.” Text below arm reads “©1990 King Features Syndicate, Inc.” From the Marshall Levin Collection. Mint.